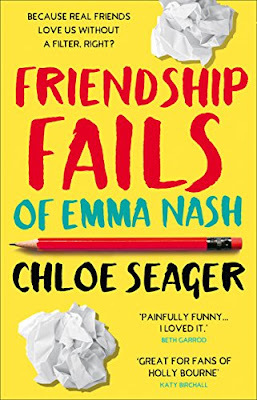 Thrilled to be celebrating the release of The Friendship Fails of Emma Nash, by Chloe Seager, today, hosting a post by Chloe about her ideal TV BFFs. I'm a HUGE fan of Chloe's hilarious contemporary debut and this follow-up is just as fantastically funny. 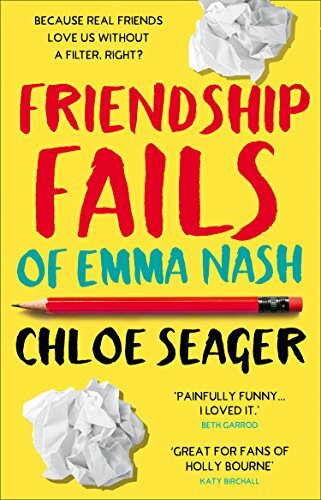 The Friendship Fails of Emma Nash is published today, 9th August, by HQ. Rory and Lorelai are my ideal TV best friends because not only are they mates, they’re also mother and daughter. Growing up I lived alone with my Mum and we have a somewhat comparable relationship, (as do Emma and her Mum in the Emma Nash series), so their on-screen friendship always struck a chord with me. Of course, my Mum and I had way more arguments than Rory and Lorelai (whose relationship is mostly plain sailing, minus the Rory-dropping-out-of-Yale fiasco.) We fought, bickered, screamed and squabbled until we were blue in the face. But despite that, my Mum has always been my closest confidante. She knows everything about my life and tells me everything about hers (possibly in a little too much detail…) We have a laugh together and cry to each other. I don’t make decisions (from where to move to what glasses I should buy) without knowing what Mama Seags thinks first, and she runs most things by me as well. I suppose Rory and Lorelai were the first example of this that I ever really came across on TV. They’re close in more than just a mother-daughter way, and in many respects they have more of a partnership than a parental relationship. Sometimes Rory is the mother to Lorelai, rather than the other way around. Their relationship is mother-daughter, but it’s also a mutually caring friendship. I love this, not only because it resonates with me personally, but because it’s nice to see the traditional portrayals of family and friendship turned on their head. Rory and Lorelai never needed anyone else; they were each other’s world. Who wouldn’t want to be a part of their unconventional, blissfully happy family, and their unlikely, unbreakable friendship? As a fellow fan of the Gilmore Girls, I loved that post! My personal favourite TV friendships include all of the central characters in Roswell, so many pairs/groups in Degrassi: Next Class (but Lola/Yael are the absolute BEST), and Toadie/Billy/Lance in Neighbours. Who are your favourite TV BFFs? Leave us a comment! As a big fan of AJ Grainger's, I'm thrilled to be sharing this extract - the prologue from new book In Your Light! Thanks to publishers Simon & Schuster for arranging. I dance with the fire in my heart, in my soul, in my veins. I dance until it rises up for me. I dance into the Brightness. Into the Light. Into the Light. Brilliance stared deep into the fire. She loved the way it moved like liquid, undulating in shapes and colours. She loved to lose herself in the Light’s power, as the flame became a part of her: its pulse her pulse; its breath her breath. The power and the beauty, the two sides of a knife. ‘The Light’s Gift will show us the way,’ the high priestess said. Brilliance’s sisters began to move towards the fire, faces hidden by their cloaks, and the Light burned inside Brilliance, as red and bright as a flame. 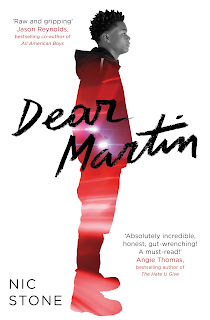 As a huge fan of Nic Stone's Dear Martin, which I bought and read when it was first published in the US last year, I was delighted to hear that Simon & Schuster were publishing it in the UK, and both thrilled and flattered to be asked to be on the blog tour for it. I wanted to use my spot to celebrate some of the other incredible books published recently looking at the topic of police brutality, so here's the four that I would recommend to ANYONE. Having said that, I recognise that my thoughts on these books are both less informed and less useful that those from Black people, so would also strongly encourage you to check out #ownvoices reviews and thoughts - here's a few great people to follow on Twitter. An Ivy League-bound Black boy writes a journal to Martin Luther King to make sense of his thoughts on police brutality and racism, after being handcuffed for trying to help his drunk ex-girlfriend out. When a terrible tragedy happens, involving Justyce and best friend Manny, he's left under attack by the media. Justyce is a fantastic character, as is white Jewish girl SJ, who actually recognises her privilege and strives to use it to help appropriately. I loved the way that Nic Stone looked at toxic masculinity and responses to affirmative action, as well as police brutality and media coverage of crimes. A relatively short read, and so gripping that I raced through it - despite being near tears by the end - this is outstanding. A 16-year-old Black girl moves between the poor neighhbourhood she lives in and the fancy suburban prep school she attends, trying to fit into both. After the fatal shooting of her unarmed childhood best friend by a police officer, she becomes involved in protesting the crime. It feels like you must have been living under a rock not to have heard the hype for Starr's story - it really is completely deserved. I'm hugely excited to see the upcoming film, because the book is an absolute masterpiece. 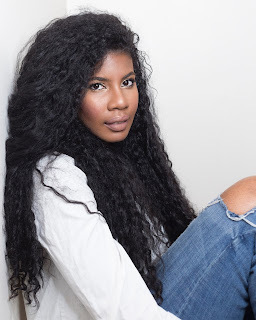 Starr is a truly superb character, code-switching to try and fit in in both her neighbourhood and her school, while the fallout from Khalil's shooting is both heartbreaking and devastatingly realistic. Watching her find her voice was such a fantastic journey to witness, and one big speech near the end, in particular, reduced me to a sobbing mess. Marvin Johnson goes to a party with his twin brother Tyler, hoping to keep an eye on him. But they're separated after a police raid and Tyler goes missing, only to eventually turn up dead, killed by a police officer. Marvin mourns his brother, while trying to organise a protest, and support his grief-stricken mother. 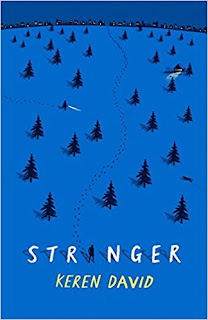 This is the most recent read of the four for me, and I think it will stick in my mind for a long time because the portrayal of the relationships here is so, so good. Firstly the tight-knit family of twins Marvin and Tyler, their mother, and their wrongly imprisoned father, who writes letters back and forth with Marvin. Secondly the fantastic friendship group of Marvin, Ivy and G-Mo. And thirdly the new girl in Marvin's life, Faith, who has a tragedy of her own in her past, and is able to partially understand his loss and help him to grieve. Marvin is also dealing with an application to MIT, the college he's always dreamt of going to, and seeing him trying to carve out a future for himself while still reeling from the tragedy was really moving. Twelve-year-old Jerome, waving a toy gun around, is shot by a police officer and killed. As a ghost, he meets Emmett Till, who shows him how racism through the years has affected Black boys, while he also becomes visible to the daughter of the white officer who shot him. Parallel with this narrative, we get a 'before' one of the events leading up to him getting the toy gun. Oh WOW. 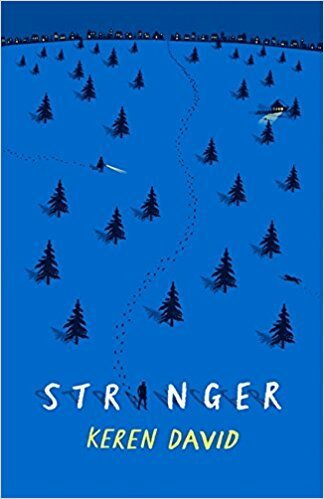 Book of the year for me so far, Jewell Parker Rhodes gives us a middle grade novel which is both heartbreaking and deeply educational. This was super-powerful, perhaps because it's aimed at an even younger audience than the previous three I've talked about, which for me heightens the tragedy. The author does an incredible job of making such a tough subject accessible to younger readers without ever sugarcoating the horror of both Jerome's death in particular, and the racism in general which has led to so many of these horrible instances. Outstanding. 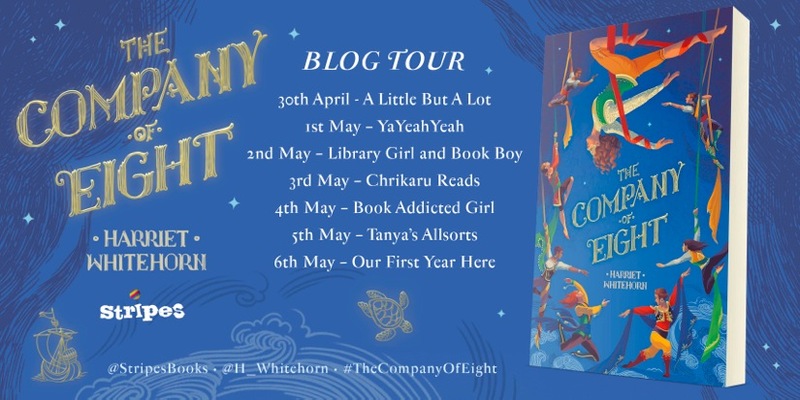 As a big fan of Harriet Whitehorn's, I'm really excited for her new book The Company Of Eight! It's great to be able to host this Q and A with her today. The Company of Eight is full of fascinating locations. Where in the Longest World would you want to live? That is such a difficult question as I slightly fall in love with wherever I am writing about. I think, a bit like Cass, I would like to be based in Minaris, as I have always wanted to live in a city where you skate everywhere in the winter, but then I would also like to do a bit of roaming too. To copy Cass, my first adventure would be to the Islands, and I would definitely take in turtle watching, star gazing and possibly an encounter with pirates. But then I think I would take a boat on to The Furthest Lands and explore The Great City of Pinging, known as City of Ladders because it is built on multiple layers. And then, if I still had the energy, head for a port to the west of Minaris called Pinoa, and explore the mountainous countries to the north. And finally return exhausted to Minaris to drink tea and Rimple’s with Mrs Potts! The Longest World is full of fascinating personalities: who is your favourite character, and who was your favourite to write? 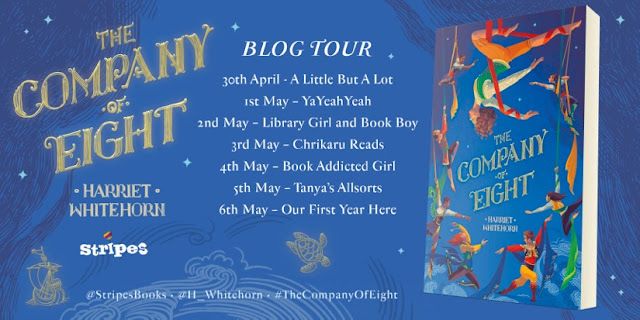 My favourite character is Cass but the most fun to write is her guardian Mrs Potts - she’s so deliciously awful - snobbish, shallow and self seeking, but ultimately she is proved to have a heart of gold as the book shows. Cass can’t wait for all her future exciting adventures with the Company: can you give us a hint as to where these adventures might take her? Well I can tell you that it is not where she is expecting to go! She thinks that she is off to chase pirates around the tropical Far Isles but she actually ends up as far away from that as you can imagine. Which would you rather: join the Company of Eight, live on the Island of Women, practise acrobatics on the Circus Ship, or be a fortune-teller in the Magical District? Why? They all sound like fun but it would definitely have to be joining The Company of Eight - I have always wanted to be a sword fighter and am always googling adult fencing classes for beginners but never actually pluck up the courage to go to one. The Company of Eight is an amazing escapist fantasy adventure, but what kind of books do you like to read personally? I do love fantasy and some of my all time favourite books are in that genre, like The Earthsea Trilogy and Jonathan Strange and Mr Norrell. But in general, I am quite an eclectic reader and read a real hotch potch. The common thread is often a personal recommendation as I’m always intrigued to see what other people love reading. 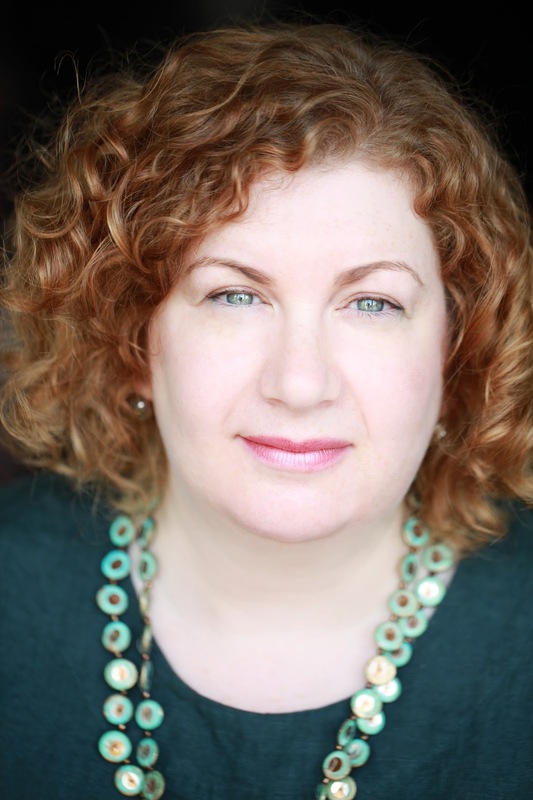 As a massive fan of Elizabeth Wein's books, I'm always thrilled to hear about more from her - particularly when it's set in World War II, like her bestselling Code Name Verity, one of the most emotional YA novels I've ever read. 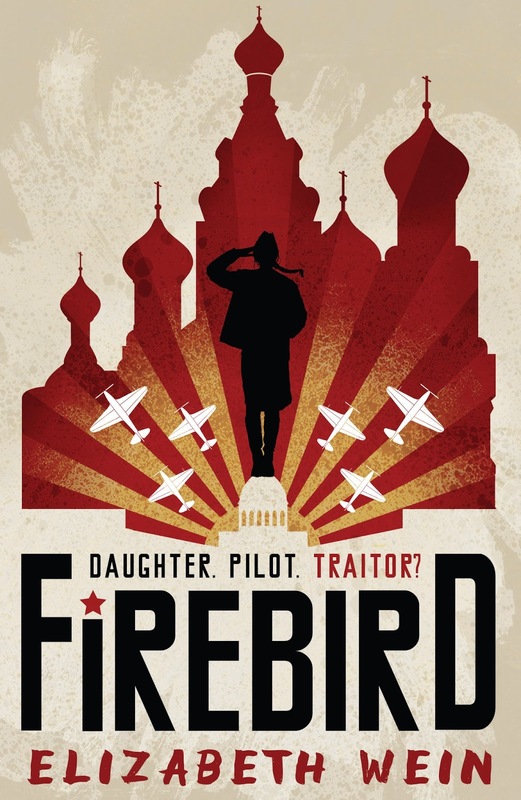 I was delighted to hear that she has a new WWII-set book, Firebird, coming out in August, and honoured when publishers Barrington Stoke asked me if I'd like to reveal Ali Ardington's stunning cover! Elizabeth Wein (@EWein2412 on Twitter) says "On my visit to Russia in 2016, I was truly blown away by the Soviet-era artwork I saw there. In my head, the Soviet Union always seems grey and drab. But their propaganda posters are jubilant blasts of eye-catching colour and dramatic shapes. So I really loved the idea of trying to capture this look for the cover of Firebird, which takes place in the Soviet Union during World War II. From the onion domes of Red Square to the fighter plane formation soaring into battle, it’s a real tribute to the artists who had to inspire Soviet youth to go to war in the 1940s. The Russian words for “red” and “beautiful” have the same origin, and the cover design for Firebird is both!" "I wanted to capture the feel of a Soviet Russian propaganda poster, whilst embracing feminism and celebrating the strong women of WW2. When I started the visual research for the cover, it became quite apparent how courageous and strong these young women were. In my mind the main female protagonist had to take centre stage, and be celebrated. The cover came to life around her." Firebird will be published by Barrington Stoke in August; I can't wait to read it! 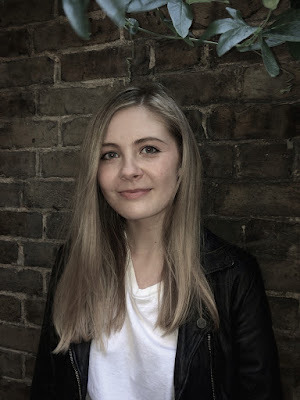 I've recently read and loved Katy Birchall's Secrets of a Teenage Heiress, first in her new Hotel Royale series, so I'm delighted to have a fabulous blog post from her today! The real star of Secrets of a Teenage Heiress is Flick’s fashion-conscious dachshund, Fritz. 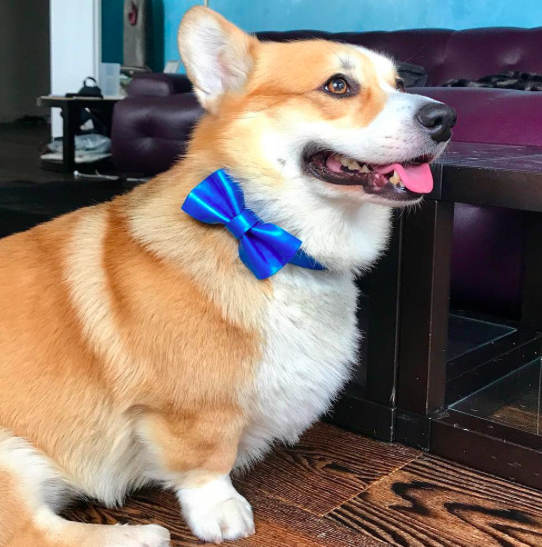 With a wardrobe overflowing with his designer knitwear, tailored suits and array of hats, Fritz is a fashion icon in the world of Hotel Royale and his Instagram page is, to put it frankly, a sensation. 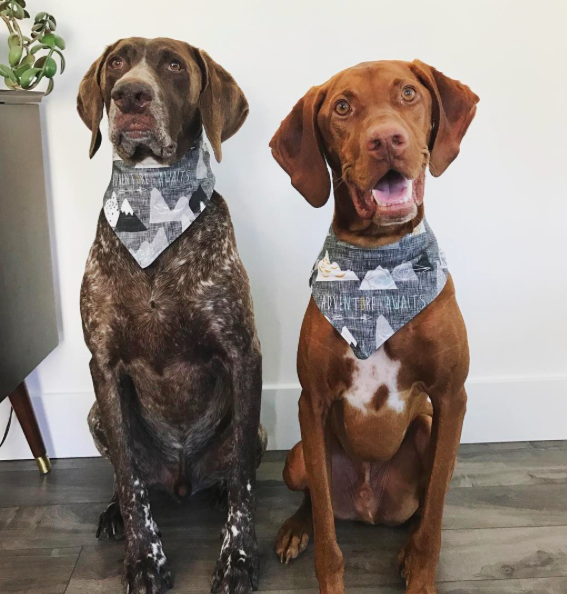 Gus and Travis are both handsome rescue dogs, adopted by Steph McCombie, and like Fritz, they have an envy-inducing wardrobe and are particularly fond of neckchiefs. The most adorable of unlikely pals. 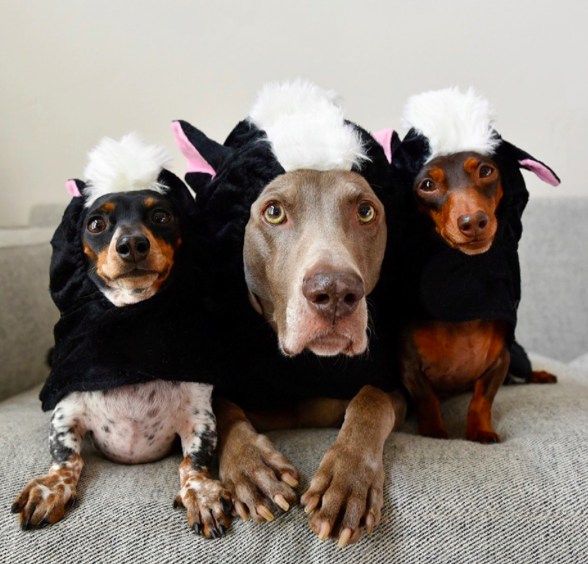 After best friend Sage sadly passed away in 2013, Harlow the Weimarana was joined by dachshund Indiana and then by Reese, another dachshund. The trio have taken Instagram by storm and they will melt your hearts. 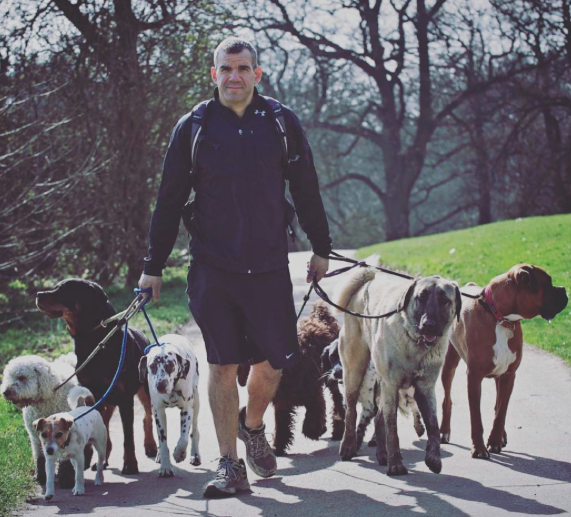 Dog Handler Barry Karacostas is the self-titled ‘surrogate parent’ to an assortment of London’s dogs and posts daily pictures of the pooches he’s proudly looking after…always brightens my morning! I can’t get enough of this guy. I’m mad about corgis (why are their bums so fluffy?!) and love following Byron’s adventures. He has such an adorable, smiley face. If you’re a doglover, then this is an absolute MUST. 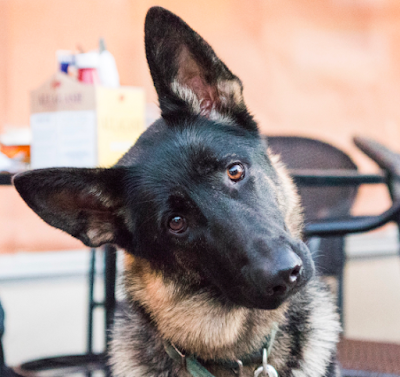 Documenting the dogs of New York with beautiful pictures and telling their stories (there’s a book out too). 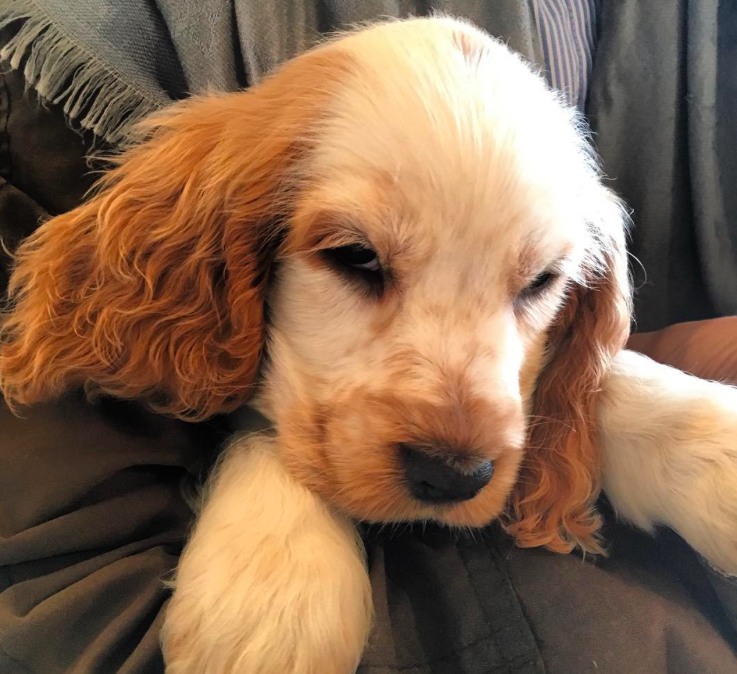 Just when I thought she couldn’t get even more AWESOME, my agent Lauren went and got Arnie, a puppy cocker spaniel. Brand new to instragram, he’s already one of my firm favourites and will soon be yours…just look at his faaaaaaaaaaaaaaaace. Secrets of a Teenage Heiress was published on January 11th by Egmont. It is available from all good bookshops at an RRP of £6.99.